What causes cancer? There are many risks for the disease. Some you are born with. If you have the genetic predisposition to it, you only need to do a few things to push your already present tendencies rolling. 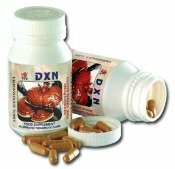 Some can kick start the cancerous cells in you to be more active. The list of risks factors includes the controllable and the uncontrollable. What are controllable risks? They are factors that can be avoided. Their prevention is doable as they are recognized as environmental factors and lifestyle habits. The use of tobacco is what causes cancer in the lungs to start. 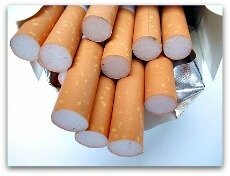 Tobacco includes cigarettes, cigars and even the smokeless variety. It is a well-known, leading and proven carcinogen. If you don't smoke, you might think you have absolute protection against its harmful effects. Well, you're not spared from them if you live in a house where there is a smoker. In fact, the smoke you are exposed to is even worse. Excessive drinking causes tumors in the liver and other types as well. Studies report that alcohol is a carcinogen by itself and acts as a co-carcinogen to tobacco. So if you smoke and drink, prevention against different cancers is an uphill battle. Too much drinking also plays a role on what causes prostate cancer. Obesity can increase your risk for hormone-related cancers such as breast, colon and prostate cancers. When you're overweight, the level of hormones go up. Lack of physical activity and unhealthy eating habits are two of the causes of obesity or being overweight. What causes cancer? Is stress one of the risks? Until today, many experts are not certain of the role of stress in increasing your risk and in the prevention of many types of diseases. But still, scientists acknowledge that being stressed can greatly affect your body and cancer and stress are related. UV radiation comes either from the sun, tanning booths or beds, or sunlamps. It is proven to be what causes skin cancers and other types of tumor as well. What's worse? Many health effects of Ultraviolet radiation aren't limited to your skin. The sun's radiation also harms your eyes and your immune system. A weak immune system allows cancerous cells to thrive. What is ionizing radiation? It is emitted by radioactive fallout, x-rays, radon gas and even radiation therapy used in treating tumor. It is a fact that ionizing radiation leads to secondary cancers. The most common type associated with ionizing radiation is growth of tumor in your lungs. The 1986 Chernobyl disaster also led to an increase in thyroid tumor. Environmental hazards include carcinogenic chemicals that are found in certain work places. One example is asbestos, which is proven to be what causes lung tumor. Formaldehyde is another one. Today, these harmful chemicals are also found in our homes. Scary but true. Everyday products we use like shampoos, bath soaps, cosmetics, body lotions, hand sanitizers and cleaning products are laced with chemicals such as SLS, parabens and phtalates. It is proven that malignant tumors are not contagious. But many types of tumor are results of some viruses and bacteria. One example of the virus is the Human Papilloma Virus or HPV. It causes tumors in the cervix when left untreated. And surprisingly, it is also a risk factor for a deadly type of skin tumor known as squamous cell skin carcinoma. These environmental factors and lifestyle habits are what cause tumors. They can be prevented. Any unhealthy choice you make creates damaging changes in your genes known as somatic mutations or acquired mutations. Taking the time to understand what causes cancer will help you make an informed decision. Learn the steps on prevention. You and your family deserve nothing less than a quality life lived in freedom from the disease.